How is it possible to address in a creative and unconventional way the B2B market? Yes you read well, to advertise a B2B (business-to-business) service, we created a fake B2C (business-to-consumer) product. TAVENGINEERING and its US partner Furnacare have asked us to create an advertising campaign to promote their rebuilding services for vacuum furnaces, that's something very niche. The declinations of the campaign were magazines, billborads, exhibition stands and web marketing campaigns. 2015 was a period of crisis for the industry, the treaters and the aviation industry tended to used as much as possible their vacuum furnaces rather than investing in new machinery. What we needed was to communicate that the refurbishment and retrofit services of the two companies, were able to restore the vitality of the old machines, allowing them to work as if they were new. 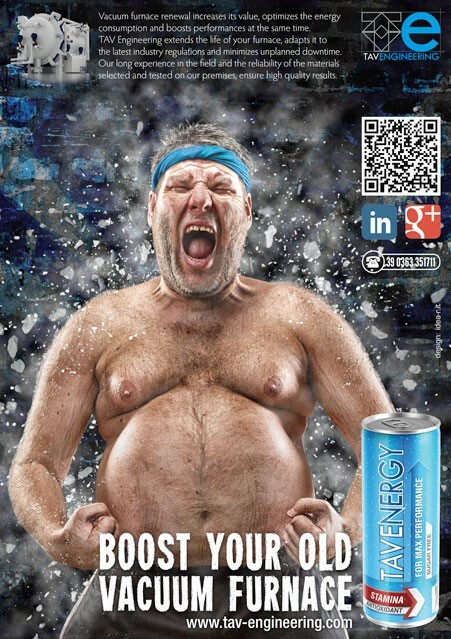 That's how we got the idea to create an energy drink brand. 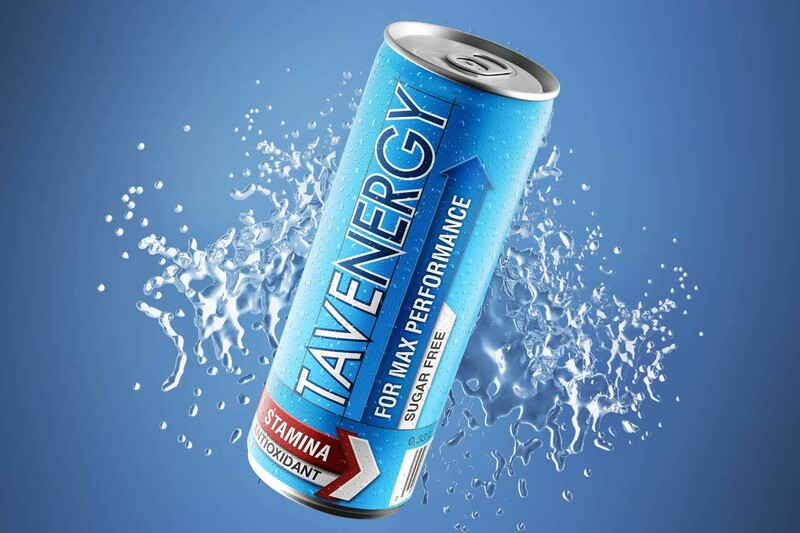 For TAVENGINEERING we created the TAVENERGY brand as the name closely resembles the original. For Furnacare instead we created the brand FURNAPOWER. 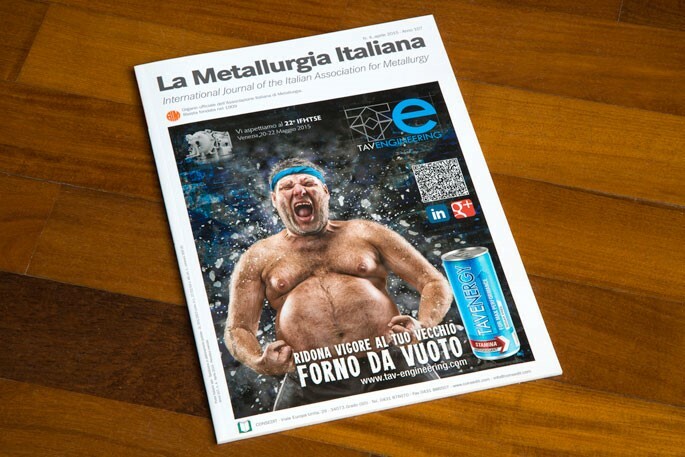 Rather than showing the image of a restored vacuum furnace, we humanized the concept graphically designing an old overweight man who's getting new energies. 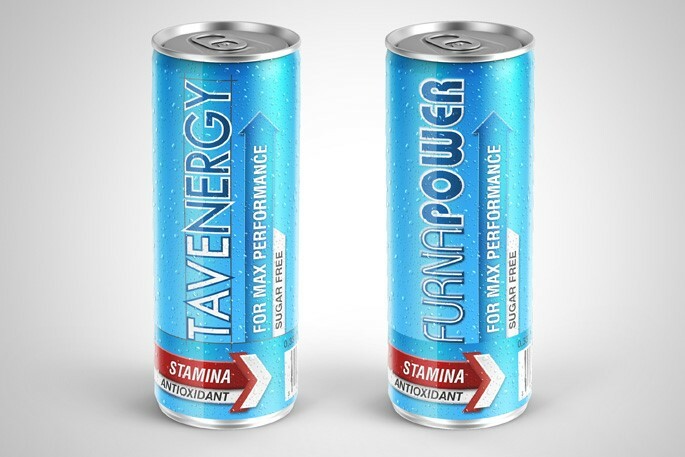 The energy drink has not been a fake design only, but was truly produced and it is still given free at fairs and to guests who come on premises. Note that the packaging not only recalls the company's colors, but is different from any other existing drink therefore is recognized from a distance. Imagine at the fair all the people that walk with blue cans in hand. The success went well beyond expectations, the first time that we brought the energy drinks at a fair, they were sold out in a morning. In addition to the multiple facets to traditional advertising, we also created a landing page for the vacuum furnace retrofit services. 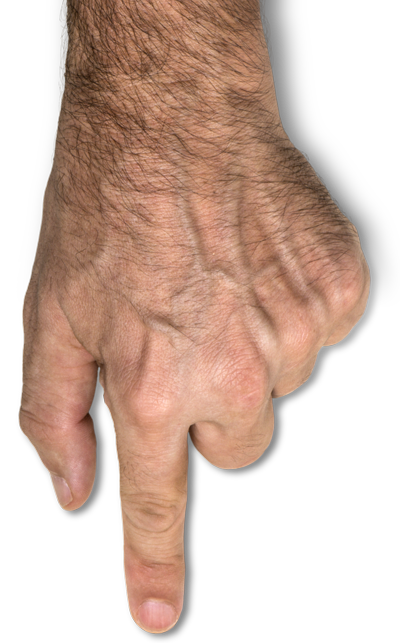 What do you think, did you like the idea? Subscribe to our free newsletter and stay up to date on digital strategies. You are the reader number 5,209.